There are many reasons why a solar system could experience problems. 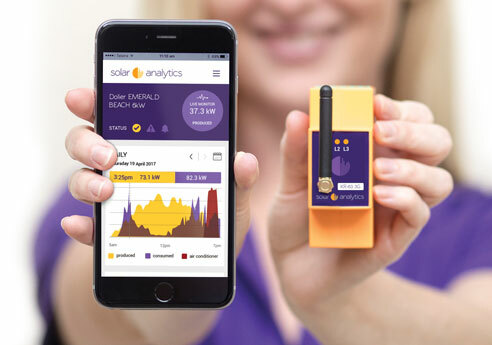 In the event of a problem, you can rely on Solar Analytics Monitoring to quickly and accurately detect developing faults, failures or under-performance. Keeping your solar system performing at its best will give you the most value. 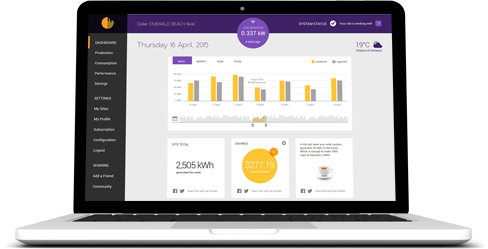 With Solar Analytics Monitoring, you can optimise your home energy consumption to align with your available solar. Knowing how much free energy from the sun you’re using every day translates into real dollar savings. How else will you know if you’re getting the most out of your solar? Batteries, electric vehicles and energy trading are all part of the future of energy. It’s coming soon than you may think. The way we interact with energy will be markedly different. 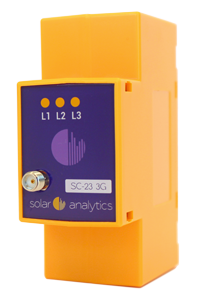 Solar Analytics Monitoring will give you the tools to manage the coming changes. Whether you have an existing solar power system or are putting in brand new solar panels, installation of our device is a simple process for any licenced electrician. Using the Dashboard, you can tell when it’s the most efficient time of the day to turn on your most energy-hungry appliances. Run the pool pump, turn off the hot water, and set your appliances to run at the optimal time every day to slash your energy bills even further. Prices effective 22nd May 2017.